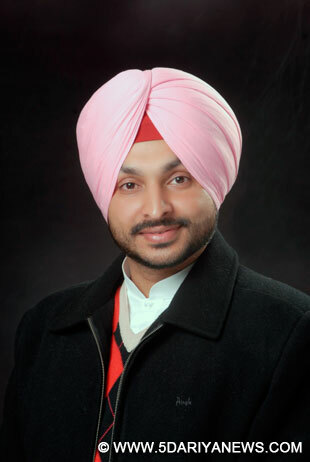 As various radical Sikh organisations prepare for a 'Sarbat Khalsa' (deliberative assembly) in Amritsar on November 10, a Congress parliamentarian from the state on Sunday demanded that the Khalistan issue should not be allowed to be raised at the event.In a statement, Congress MP from Ludhiana, Ravneet Singh Bittu, condemned Shiromani Akali Dal (Amritsar) president Simranjit Singh Mann's alleged demand for taking up the issue of Khalistan at the proposed event. "There are some anti-national forces working behind Mann. The issue of Khalistan should not be raised at the Sarbat Khalsa. Instead, there are more important Sikh issues that can be discussed," Bittu said, adding that Mann and certain radical groups were looking for an opportunity to take Punjab into the dark days of terrorism again. "We will not let this happen again at any cost. The focus of the Sarbat Khalsa should be on the recent sacrilege of Guru Granth Sahib, decreasing sanctity of Sikh institutions, degradation of the Sikh Gurdwara Parbandhak Committee to a mere political tool and SGPC playing into the hands of one family," Bittu, a grandson of former Punjab chief minister Beant Singh, said.Beant Singh was assassinated by Khalistani militants in a human bomb explosion in Chandigarh on August 31, 1995.Bittu appealed to the Sikhs, particularly preachers and scholars, to refrain from associating with activities of such leaders. "Such leaders are issuing provocative statements and trying to spoil law and order in Punjab. These leaders are backed by a number of radical groups working in the country and abroad to disturb peace in the state. Punjab has paid a price for this for a long time," he said.Punjab has witnessed violent protests and roadblocks over several incidents of sacrilege of the Sikh holy book Guru Granth Sahib, leaving two youths dead and scores of others injured.